Governor Rochas Okorocha of Imo state has said Igbo people failed woefully in Nigeria politics because they refused to accept the light that has come to them and also failing to appreciate the leaders that have come to help them. The outgoing governor of Imo state made the statement on Monday, April 8, when speaking to newsmen at the government House in Owerri, Vanguard reports. “Igbo have failed politically for two reason, not to accept the light that has come to them and also not to appreciate the leaders that have come to help them,” he said. 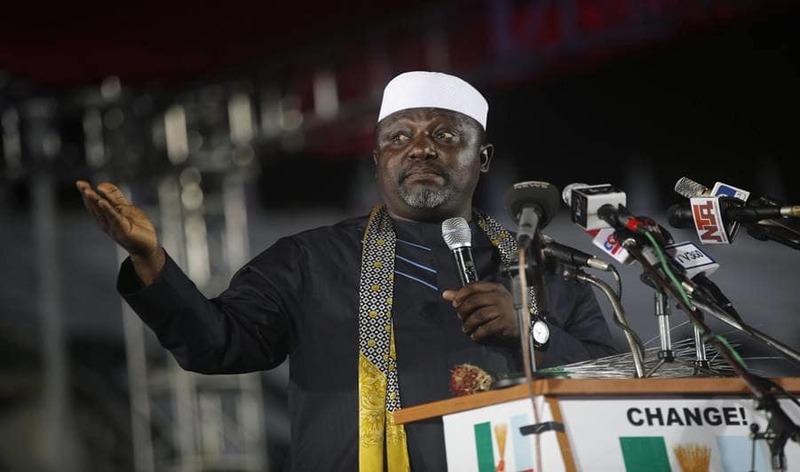 Okorocha also urged INEC to do the right thing by giving him the certificate of return as senator-elect for Imo west. He accused the electoral official who supervised the Imo west senatorial election of doing a hatchet job. “Elections have come and gone and we are dealing with the outcome. For the Imo West senatorial election, somebody said that he declared the result under duress. The truth is that the gentleman was employed to do a hatchet job and he could not do that,” he said. The governor denied allegations that was engaging in illegal withdrawal of funds and selling government property. He said he had given banks in Nigeria, seven days ultimatum to tell the world whether he has borrowed any money from them. Okorocha also challenged civil servants in the state, to open up whether his government was owing them. Meanwhile, the candidate of All Progressives Congress (APC) in the just concluded governorship election in Imo state, Senator Hope Uzodinma has described Governor Rochas Okorocha and his son-in-law, Uche Nwosu as lacking any electoral value. Senator Uzodinma, in a statement on Friday, April 5 by the director of media and special duties of his campaign organization, Declan Mbadiwe Emelumba, stated that Okorocha and Nwosu were celebrating their failure because their only goal was their failed attempt to destroy APC.